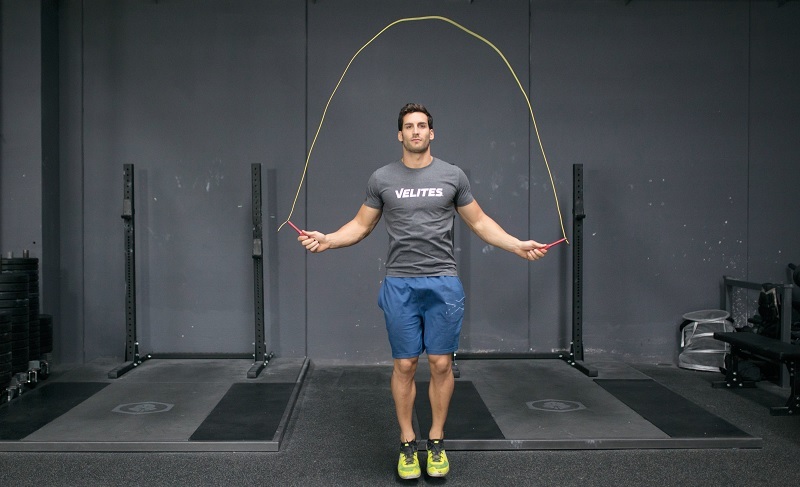 Bored with your regular jump rope routine? Let’s talk about high-intensity interval training, also known as HIIT. As the name implies HIIT workouts are done in intervals and alternate between bouts of intense anaerobic exercise with periods of rest or recovery. Although sprints are one of the most popular forms of interval training, HIIT can be done with any kind of movement, including jump rope. 1 What are some of the benefits of HIIT workouts? 2 How to start with HIIT workouts? When we talk about high intensity, we usually mean max effort or giving your fastest performance possible; during the period of work athletes tend to go as fast, and for as many reps, as possible. Due to all-out effort, HIIT is done in shorter time period and usually lasts no longer than 20 minutes. If you really give your best, you are pretty much done after a few intervals. What are some of the benefits of HIIT workouts? HIIT has been praised among fitness enthusiasts for its fat shredding effects. It can boost our metabolism and burns maximum amount of calories in minimum time. Of course, we all know the fat burning benefits start and end in the kitchen. Endurance athletes have long been using interval training to implement anaerobic training into their conditioning routines. HIIT helps them develop speed and strength endurance they need for long distance events. Some people find HIIT training more interesting as exercises, length and challenges vary with each workout. Low pace aerobic activities take time and consistent tempo, while HIIT workouts spice things up. Lastly, HIIT takes less time than all other workouts and fits well into a busy schedule. Career focused business peeps that care about their fitness love using it as their morning workout routine: HIIT can be done quickly, and efficiently, before going to work. How to start with HIIT workouts? First, leave your comfort zone at home. The goal of interval training is to hit you hard and push you to your limits. Well, kind off. Although HIIT training should be intense, put common sense first. At all times, form and proper movement are important. 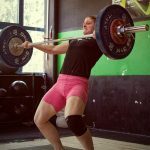 So if you are a beginner or someone who has just started to learn about functional fitness, slow down your pace and focus more on execution of the exercises. If you need some ideas on how to start, we came up with a few jump rope HIIT workouts you can tackle on at home, on your garden, at the gym or at even the nearby park. Jump rope is a great conditioning tool and a perfect movement to begin with and progressively train your body for more demanding, and higher intensity, workouts. A very basic HIIT training with a jump rope would be a tabata style workout. Tabata was invented by a Japanese physician and researcher Dr. Izumi Tabata who was examining the effects of a 4-minute interval based training, done in 8 rounds of 20 seconds of work and 10 seconds of rest. Every time you broke a set of DUs, perform one burpee. For decades sprinting has been the most popular form of interval training. Sprint is maximum effort running, performed at the highest speed possible. That said, if you are a beginner whose body is just getting adjusted to training, skip the sprinting and perform fast running or uphill walking instead. For beginners: 30 single-unders and 200 meters of fast running. Running can be easily swapped for other exercises. Burpees are easy to learn and simple to perform but can get pretty challenging when put into a jump rope HIIT workout. Those kinds of jump rope HIIT workouts can be easily modified. For example, do less burpees and perform 20 single-unders only. Jump rope is a great addition to interval training. But so are the weights or various weightlifting exercises. Perform 5 intervals and take 2 minutes of rest between each set. Scale the workout if needed. Increase or decrease the weight, and choose the form of skipping which challenges you. The beauty of jump rope is that arms have to work equally as legs in order to perform the movement correctly. In most cases the smaller muscle groups, arms in this case, will burn out way before the legs. The following jump rope HIIT workout will even initiate that. While it might feel like the workout is a leg burner, your lungs will actually suffer the most. The following jump rope HIIT routine is appropriate for anyone who enjoys intense workouts which demand coordination, speed and some skipping rope skills. All movements are done with a jump rope. Workouts with a jump rope can be performed practically anywhere and at any time. Leave your excuses, and your comfort zone, behind and try one of our workouts. Try to improve your jump rope HIIT results.